“Pastor Michael has been moved indoors,” his attorney, John Whitehead, told Beliefnet. 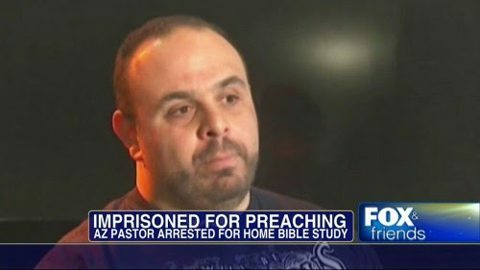 Like the Apostle Paul some 2,000 years ago, Salman has devoted his time in custody to sharing his faith other inmates. As he faced the final 30 days, his church prayed for a miracle to shake open the prison doors — as in the Book of Acts’ Bible story of the Philippian jailer. However, Salman’s jailer is already a Christian – famed Sheriff Joe Arpaio, who is staying out of the controversy that landed Salman behind bars. The Arizona preacher ran afoul of Phoenix city officials, who Whitehead accuses of over-zealous enforcement of zoning ordinances. The real culprits, says Whitehead, is the Washington, D.C.-based International Code Council, which provides city councils nationwide with standardized zoning rules, which Whitehead says are heavily biased against any practice of religion outside of church sanctuaries. 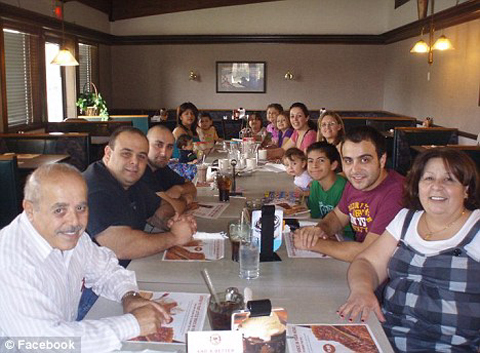 Salman says rules-quoting bureaucrats are denying him, his wife and his six small children the right to invite their friends and family to talk about Jesus at their home. Officials say he violated a previous agreement by continuing to hold religious services in violation of zoning and building codes – hosting as many as 80 visitors at his 4-acre property in a 2,000-square-foot “game room” that has a pulpit and pews and for which he has enjoyed a church exemption from property taxes. Phoenix zoning officials say the case has nothing at all to do with Salman’s faith, but everything to do with zoning ordinances, occupancy permits and insufficient handicapped parking spaces. Whitehead says the case has everything to do with local city councils not paying enough attention to standardized, but highly restrictive regulations. Local council members, who are often volunteers, he notes, don’t have time to read reams of new rules, but trustingly adopt the regulations – unaware when rights are trampled. Whitehead cites recent cases in which a church handing out bottled water was warned that they would have to get a vender’s license first — although the water was being handed out free. In another case, a church was told to shut down covered-dish dinners in its fellowship hall until it hired certified food handlers. Salman’s case has attracted international attention. “A Phoenix man has been sentenced to two months in jail, three years’ probation and more than $12,000 in fines for using his private home to host weekly Bible studies in violation of the city’s building codes,” reported Snejana Farberov for the British tabloid the Daily Mail.